Link to a larger image of the chart mentioned below HERE. Positive net worth is the situation when investors have little money borrowed and plenty of cash in their brokerage accounts (2003 & 2009). Negative net worth is the situation when investors have little large amounts of money borrowed (on margin) and little cash in their brokerage accounts (2000, 2007, 2011 & now). The above chart reflects that only one other time in history has negative net worth been this low, which was the tech bubble back in 2000. The prior two times that negative net worth were this low was 2007 (50% S&P 500 decline) and 2011 (17% S&P 500 decline). The above chart of Credit Balance/Net Worth shouldn't be used as a market timing tool, yet if history holds true, it has reflected times when investors should load up the truck in stocks (Positive net worth was high at the 2003 & 2009 lows) and it did reflect times when investors should have lowered stock exposure (Negative net worth was low in 2000 & 2007). This book was recommended by Steve Romick on the FPA Crescent Fund Conference Call. It is a common trope in science fiction novels. Economic transactions are handled seamlessly with a wave of a card or a physically imbedded chip, and whatever the author imagines money to be is transferred, far removed from the archaic confines of ancient physical monies. If you Google "cashless society" you get about 600,000 references in under a second, and 20 pages into the references there are still articles on a future world where physical cash is no longer needed. Some see it as a sign of the "end times," some as a capitalist plot, some as a frightening vision of socialists and ever-bigger governments, and some as a logical step in the evolution of a technologically driven international commerce. And some of the "cashless society" references are showcase articles for the latest innovation that turns your phone or smart card into a functional wallet. I can attest it is quite possible to go for days without needing actual cash (as long as there are no kids around). The Bitcoin phenomenon (28 million sources on Google!) is a libertarian enthusiast's dream of not just a cashless society but a society with no need for fiat money and central banks. Today we'll look at research suggesting that cashless future might be farther off than we either fear or hope. Not only is a cashless society farther away than some think, we are actually seeing an increase in the use of cash all over the world (and this is not just a US phenomenon). We will look at some interesting factoids that in themselves make for thought-provoking discussions, but when we couple them with research on the rise of the unreported economy (aka the underground economy) and the number of people who get some form of government assistance, we may find problematic consequences resulting from hidden incentives that work in unintended ways. The advance estimate for first quarter GDP came in decidedly below expectations at a 2.5% annual rate, but even that rate belies the fact that real final sales slowed to just 1.5% growth, from 1.8% last quarter. The remaining 1% of the first-quarter growth figure – 40% of the total – represented the accumulation of unsold inventory. My view remains that the U.S. is unlikely to avoid joining the rest of the developed world in a global recession that is already underway, and may well be already underway in the U.S. once data revisions are reflected. The year-over-year growth rates of real GDP and real final sales have declined to just 1.80% and 1.87% respectively, which is the first time in this economic cycle that both have simultaneously declined from above 2.0% to below 1.9% - an occurrence that has been a hallmark of every post-war recession, with remarkably few false signals for such a simple measure. The Fed’s ability to kick-the-can in increments of a few months at a time may allow this time to be different, but investors should recognize that they are relying on that proposition. It is certainly not the case that economic recessions precisely overlap with bear markets. Rather, bear markets are frequently underway before recessions are evident, and typically end several months before the recessions do. For that reason, market returns aren’t reliably abysmal when measured from the very start of a recession to its very end. Even so, note the shaded recessions in the chart below. Bear markets in equities occurred in 1956, 1961, 1970, 1973-74, 1981-82, 1990, 2000-02, and 2007-09. Of course, there are many less severe but still damaging market declines that occurred in the absence of recession. Warren Buffett's decision to hire two investment lieutenants is paying off for Berkshire Hathaway, and it's paying off for the two younger money managers, too. Todd Combs, 42, and Ted Weschler, 51, are expected to receive bonuses exceeding $50 million each based on their investment results in 2012, evidence that they and Buffett made the right choices when they connected. In GMO's 1Q 2013 Letter, Jeremy Grantham provides the last in a series of six reports on resources in "The Race of Our Lives" and Ben Inker questions whether persistently high profit margins can continue in a mean-reverting world in "A Funny Thing Happened on the Way to Equilibrium." Four senior executives from American International Group Inc., including Peter Eastwood, president and CEO of AIG Property/Casualty—The Americas, resigned Thursday to join rival insurer Berkshire Hathaway Inc.
UPDATE: The video of the Coca-Cola Annual Meeting (Mr. Buffett enters around the 17-minute mark) is available HERE and HERE. Warren Buffett, who controls the largest stake in Coca-Cola Co. (KO), told the chief executive officer of the soft-drink maker to stay ahead of competitors by reviewing what made other businesses falter. He said today that he wants a culture that promotes innovation and customer service. Mason Hawkins said, "Warren, I'm an optimist. I think this whole thing can turn quickly, and surprise people. Are you an optimist?" "I'm a realist, Mason," the sage replied. Warren went on to say he was optimistic long term, and backed that up in a talk the next morning on the remarkable history of growth, innovation, and wealth creation the U.S. had produced over the past 200-plus years. He also offered a sober assessment of the current challenges we face, and said it would take some time to work through them. My opinion is that the best outlook to take on investing and life is not to be a pessimist or an optimist, but to be a positive realist. I think it is important to be a positive person and to have the long-term optimism that Mr. Buffett discusses, but I also think it is vital to be a realist in the present moment. Though a positive one. We expect China’s slow down (hard landing) to be much more severe than the consensus and given its disproportionate share of the world’s commodity consumption, the impact will be most uncomfortable for the world’s metal exporters. We continue to believe that the Australian economy is the most vulnerable to crack’s in China’s façade given its concentration of trading partners (China now represents 28% of Australian exports up from 6% a decade ago) and its concentration of exports (as ores and metals make up 72% of goods shipped to the mainland). But Australia is not alone in its vulnerability. The CRABS are the commodity rich countries that are riding China’s spending spree. They are Canada, Russia, Australia, Brazil and South Africa. We think the CRABS will ultimately be a much bigger problem than the PIGS. Though the players involved may change from one generation to the next, investing at its core is, and always will be, nothing more than a tug of war between fear and greed. Fear summons the wanton selling of assets without regard to value, a scenario that often allows us to purchase assets from panicked sellers at a discount to intrinsic value. Conversely, greed creates reckless accumulation, also without regard to value, and makes it easier to find a buyer at prices higher than we paid to the frightened seller. Fear gives us an “in”, while greed gives us an “out”. At the moment, the side pulling the “greed” end of the rope would seem to have the momentum, so as you can guess we have been feeding them some of our slack. Rest assured however, this is a tug of war that never ends, and while we don’t know when it will happen, “fear” will eventually turn the tide in the future, just as it has in the past. At that point we will rise each morning and put our well rested muscles to work by once again actively deploying capital. Those who remain fully invested have made an implied bet that the world will tilt towards inflation. Although we find it hard to argue that point longer term, over shorter periods of time that may not prove true. Deflation might rule the day in the months to come, particularly if the Chinese economic engine begins to misfire. We frankly confess that we just don’t know if we’ll have inflation or deflation. And we also don’t know how much of either or when. We wish we could say otherwise. Those who believe that significantly higher levels of inflation are inevitable, and probably sooner rather than later, would be better served remaining fully invested in risk assets that will help protect against such vagaries that erode cash instruments. On the other hand, those who conclude that deflation will harm those very investments, would be better off keeping their portfolios safely liquid. We have chosen the middle, a lonely place that offers little conviction in either direction. We therefore maintain a Fund that we believe will not succeed terrifically well in either scenario, but may perform adequately in any scenario. As stakeholders ourselves, we do to you as we do unto ourselves. Our continued commitment to our shareholders is that we will work for you as if we manage all of your savings-even though, we don’t think that’s prudent. 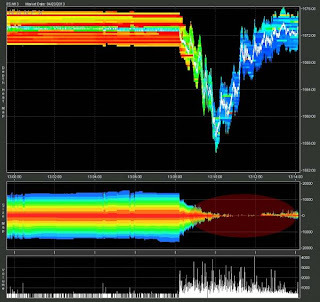 The picture below is from Zero Hedge (via Nanex), and was just too interesting not to post. It's amazing (to me, anyway) that something like this can happen so quickly, and in this case be started by what appears to be a hacked Twitter account and a fake Tweet. Douglas Kass, the investment manager selected by billionaire Warren Buffett to ask questions at Berkshire Hathaway Inc. (BRK/A)’s annual meeting next week, has hit the books in preparation for the challenge. The fund manager said in an interview yesterday that he’s reading Alice Schroeder’s more-than-800-page biography of Buffett and other titles to get ready for the May 4 gathering in Omaha, Nebraska. It’s taken about 10 hours on average for each question, he said by phone. Berkshire Hathaway shareholders from all online communities are welcome to an unofficial gathering on Friday, May 3th, 2013. You are invited to join as fellow shareholders unofficially gather on Friday, May 3th, 2013 at the DoubleTree Hotel in Omaha to meet and have fun, starting at 4:00 pm and you can linger until 7:00 pm (or longer). There will be a short program at approximately 5:00 or 5:30. Thanks to Andrew for passing this along. There are also a couple of videos and slides from other talks at the conference available HERE. Santangel's Review also posted some notes HERE. Two seemingly different questions and comments from readers and friends crossed my path the last few days, but I saw a definite connection between them. The first question was, Why do we pursue austerity when it seems not to work? And then many readers wrote to ask this week, What do I think about the real problems that are surfacing in the Rogoff and Reinhart assertion that debt above a ratio of 90% debt to GDP seems to slow economic growth by 1% (especially since I have quoted that data more than a few times)? We’ll deal with each question separately and then see if we can connect the dots. While the attention of investors is focused on the short-run market outlook in what is already a mature bull market advance, it’s crucial to understand the endgame to this overvalued, overbought, overbullish, overleveraged episode of market history. 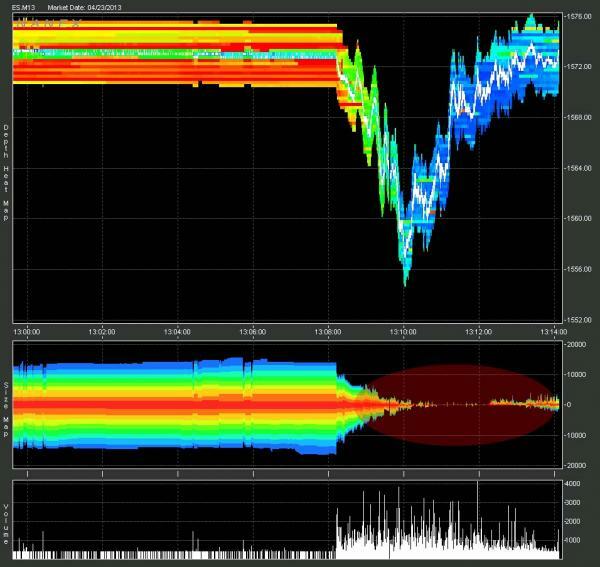 That endgame will be forced liquidation, as declining prices force leveraged investors to sell – voluntarily or otherwise. I noted back in January that margin debt had surged above 2% of GDP for the fourth time in history (the other three being 2000, 2007, and February 2011 - less severe, but still followed by an 18% market correction). In February, NYSE margin debt (the amount that investors have borrowed to purchase NYSE-traded stocks on margin) reached $366 billion, and there’s a fair chance that given the continuation of that advance in the subsequent weeks, more recent margin debt will have accumulated to a total that eclipses the July 2007 record of $381 billion. IU: How do you invest your own money? Silver: I’m actually a rather dull and conservative investor for the most part—I mostly just invest in index funds or mutual funds with low fees. One thing I know about the market is that it’s a case where a little bit of knowledge can be a dangerous thing and funds do very well when you’re basically piggybacking all the decisions that every other investor is making. For the most part, I’m playing it quite safe; but frankly, I’m looking for things to invest in right now. I think the markets are more likely to be a little hot right now, a little overvalued rather than undervalued in terms of U.S. equities. One piece of advice that I get from some people is that if you’re going to invest for fun, take 10 percent of your investments at most to play around with. I’ll invest in a few individual companies in a kind of contrarian way. If I hear friends of mine who work at banks trashing a company and I think it’s for the wrong reasons, then I might be a little more likely to put a little money in it. But 90 percent of my money is in very dull and safe “index fund”-types of vehicles. "It is precisely in times of immunity from care that the soul should toughen itself beforehand for occasions of greater stress, and it is while Fortune is kind that it should fortify itself against her violence." They’re not quite Earth’s twins, but they might be its big sisters. Two planets slightly larger than Earth have been found by NASA’s Kepler space telescope. The planets circle their star at a distance seemingly just right for life. Detailed in research published April 18 in Science, the two planets are likely the first of many that, at least from a distance, look a whole lot like home. The rest of the videos will eventually be released as well, HERE. Found via the The Sinocism China Newsletter. More presentations from the conference are available HERE. A big thanks to Ben Claremon for taking and sharing these notes. Charles Munger, vice chairman at Warren Buffett’s Berkshire Hathaway Inc. (BRK/A), pledged $110 million of securities to the University of Michigan to fund fellowships and a graduate-student residence. The gift is the largest single donation in the school’s 196-year history, the Ann Arbor-based university said yesterday in a statement on its website. The proposed building will have room for more than 600 occupants and contain apartments with as many as seven bedrooms and private bathrooms that share cooking, dining and living areas. Munger, 89, studied mathematics at the university in the 1940s and has previously contributed $20 million for renovations at a housing complex. The latest pledge includes $10 million for fellowships. Recipients would live in the residence and be chosen from among the university’s 19 schools and colleges to spur interaction among students from multiple disciplines. Via Market Folly. You can also sign up to receive ECAM’s future investor letters via email HERE. The falling yen coupled with a fall-off in Chinese investment inflows "increasingly resembles" the run-up to the 1997 currency crisis, said Albert Edwards, Societe Generale's ultra-bearish strategist. "It seems investors may have forgotten that yen weakness was one of the immediate causes of the 1997 Asian currency crisis and Asia's subsequent economic collapse," Edwards wrote in a global strategy note on Wednesday. Edwards, who recently returned from meeting clients in Hong Kong and Singapore, forecast the Bank of Japan will lose control of its recently launched program of aggressive monetary easing, leading to spiraling inflation and an increasingly unsustainable debt position. The genetic secrets of a "living fossil" have been revealed by scientists. Researchers sequenced the genome of the coelacanth: a deep-sea fish that closely resembles its ancestors, which lived at least 300 million years ago. The study found that some of the animal's genes evolved very slowly, giving it its primitive appearance. The work also shed light on how the fish was related to the first land-based animals. The coelacanth has four large, fleshy fins, which some scientists believe could have been the predecessors of limbs. It had been suggested that this fish was closely related to early tetrapods - the first creatures to drag themselves out of the ocean, giving rise to life on land. But the study, published in the journal Nature, suggested that another fish called the lungfish, which also has four limbs, had more genes in common with land-based animals. This broad misconception of the Fed’s ability to print money has been widely embraced since the Fed began its massive balance sheet expansion near the end of 2008. It was then that the Fed expanded the monetary base from $840 billion to $1.7 trillion in a matter of months. Further, from the initiation of this misguided program to the end of March 2013, the Fed has expanded the monetary base from $840 billion to $2.93 trillion. The money supply indeed went up (35%) but not in proportion to the increase in the monetary base (249%). Presently, the year- over-year expansion of M2 is only 6.8%, which is nearly identical to its year-over-year growth rate in March of 2008 before the Fed decided to “help out the economy” (Chart 1). In other words, there is no evidence that the massive security purchases by the Fed have resulted in a sustained acceleration in monetary growth; nor is there evidence that economic conditions have improved. The notion of gold as a hedge against systemic risks is flawed. We believe that the concept of gold’s role as an insurance policy needs to be narrowed significantly. Last year we argued that relying on conventional wisdom to analyze gold price movements is naive. Conventional wisdom would lead us to believe that gold price movements are driven solely by the actions of developed markets’ central banks. We believe this view is misinformed and that the available data does not support it. In that paper, we argued instead that the key driver of the significant rise in gold prices since 2000 has been the emerging markets consumer. Between 2000 and 2010, consumers in emerging markets accounted for 79% of total demand. Conversely, ETF purchases accounted for only 7.5% of demand and central banks in aggregate were net sellers. This expanded framework demonstrates that gold is also positively exposed to pro-cyclical factors in the emerging markets. Moreover, given the cyclical challenges gold’s key consumers may be facing, the value of gold as insurance should be questioned. Over the past 13 years, the impact of emerging markets on gold prices was unequivocally positive: emerging markets drove gold prices higher. However, this has not always been the case through history and, we believe, will not always be the case going forward. Emerging markets can be both a positive and a negative driver. Carmen Reinhart and Ken Rogoff have had a bad day. The two economic historians’ research, which implied that public debt overhangs can hamper economic growth, was perhaps one of the most cited pieces of work in recent years. Their advice that high debt-GDP ratios – particularly above 90 per cent – are harmful to growth, has become a widely used point in discussion. And it’s under attack by a trio at the University of Massachusetts, Amherst – Thomas Herndon, Michael Ash, and Robert Pollin. Medically speaking, this is no small accomplishment. We’ve seen bombs like this in the battlefields of the Middle East, but rarely in cities like Boston. In the past century of wartime conflict, explosive devices have escalated to become the predominant cause of military casualties. Among American personnel wounded in our wars in Iraq and Afghanistan, they have accounted for three-quarters of injuries; gunshot wounds for just twenty per cent. It has been an historic accomplishment for military medical units to bring case-fatality rates from such injuries down from twenty-five per cent in previous conflicts to ten per cent today. And according to data from the Israeli National Trauma Registry, explosives used in terror attacks have tended to be three times deadlier than those used in war—because civilians don’t have armor, because victims span a wider range of age and health, and because preparedness tends to be less systematic. Nonetheless, in Boston, they survived. The quotes below are from Antifragile (though they may not be exact, as Kindle Highlights don’t pick up on things like italics). What do we mean by barbell? The barbell (a bar with weights on both ends that weight lifters use) is meant to illustrate the idea of a combination of extremes kept separate, with avoidance of the middle. In our context it is not necessarily symmetric: it is just composed of two extremes, with nothing in the center. One can also call it, more technically, a bimodal strategy, as it has two distinct modes rather than a single, central one. I initially used the image of the barbell to describe a dual attitude of playing it safe in some areas (robust to negative Black Swans) and taking a lot of small risks in others (open to positive Black Swans), hence achieving antifragility. That is extreme risk aversion on one side and extreme risk loving on the other, rather than just the “medium” or the beastly “moderate” risk attitude that in fact is a sucker game (because medium risks can be subjected to huge measurement errors). But the barbell also results, because of its construction, in the reduction of downside risk—the elimination of the risk of ruin. Let us use an example from vulgar finance, where it is easiest to explain, but misunderstood the most. If you put 90 percent of your funds in boring cash (assuming you are protected from inflation) or something called a “numeraire repository of value,” and 10 percent in very risky, maximally risky, securities, you cannot possibly lose more than 10 percent, while you are exposed to massive upside. Someone with 100 percent in so-called “medium” risk securities has a risk of total ruin from the miscomputation of risks. This barbell technique remedies the problem that risks of rare events are incomputable and fragile to estimation error; here the financial barbell has a maximum known loss. For antifragility is the combination aggressiveness plus paranoia—clip your downside, protect yourself from extreme harm, and let the upside, the positive Black Swans, take care of itself. We saw Seneca’s asymmetry: more upside than downside can come simply from the reduction of extreme downside (emotional harm) rather than improving things in the middle. A barbell can be any dual strategy composed of extremes, without the corruption of the middle—somehow they all result in favorable asymmetries. So take for now that a barbell strategy with respect to randomness results in achieving antifragility thanks to the mitigation of fragility, the clipping of downside risks of harm—reduced pain from adverse events, while keeping the benefits of potential gains. To return to finance, the barbell does not need to be in the form of investment in inflation-protected cash and the rest in speculative securities. Anything that removes the risk of ruin will get us to such a barbell. The legendary investor Ray Dalio has a rule for someone making speculative bets: “Make sure that the probability of the unacceptable (i.e., the risk of ruin) is nil.” Such a rule gets one straight to the barbell. [Footnote to the above paragraph]: Domain dependence again. People find insuring their house a necessity, not something to be judged against a financial strategy, but when it comes to their portfolios, because of the way things are framed in the press, they don’t look at them in the same way. They think that my barbell idea is a strategy that needs to be examined for its potential return as an investment. That’s not the point. The barbell is simply an idea of insurance of survival; it is a necessity, not an option. April 15 (Bloomberg) -- James Grant, publisher of Grant's Interest Rate Observer, talks about gold prices, inflation and credit markets. He speaks with Deirdre Bolton on Bloomberg Television's "Money Moves." Bloomberg's Michael McKee also speaks. Feb. 1 (Bloomberg) -- "Bloomberg Game Changers" profiles Amazon.com Inc. founder Jeff Bezos. This program explores the story behind the founder of Amazon.com, the world's most successful online retailer and examines key moments in his life. Thanks to David for passing this along. The 2012 class videos are also available, HERE. This week we continue to look at the data and models developed by economists, with a view to understanding both their usefulness and their limitations. The specific data we will examine this week is inspired by the release of the President’s FY 2014 US budget proposal this week. While it and the House and Senate budget proposals may appear to be widely divergent, there are some underlying and quite disturbing similarities among them. Specifically, all three proposals assume away the real world. It does not matter which version you prefer; they all lack the basic precautions and hedges that those of us involved with preparing family and business budgets make sure to include in our own forecasts. While whole books could be written about the underlying assumptions in these latest budget proposals, we will examine (hopefully briefly) just a few of the more glaringly problematic ones. For more on gold sentiment, even before the recent sell-off, see Fred Hickey's March "The High-Tech Strategist" newsletter, if it is still available for download HERE. Mark Twain wrote “Let me make the superstitions of a nation, and I care not who makes its laws.” In recent years, investors have somehow allowed themselves to be convinced that alchemy – exchanging outstanding government debt for zero-interest monetary liabilities despite what are already trillions in excess monetary liabilities – is capable having real, stimulative, and beneficial effects for the economy. Make no mistake – the faith that quantitative easing will produce anything other than temporary and ultimately calamitous financial distortion is superstition. Keep in mind that each dollar of monetary base must remain a dollar of monetary base until it is retired. It cannot “turn into” something else. The only two forms of monetary base are currency and bank reserves, and of the trillions of dollars of monetary base created since 2008, only $300 billion has taken the form of additional currency. All of the other trillions of dollars of base money that the Fed has created take the form of bits and bytes on some computer at one bank or another in the U.S. financial system. At every moment in time, someone in the economy must be the proud owner of those zero-interest bits and bytes. If they try to exchange their bits and bytes for stocks, or bonds, or gold, or real estate, the seller of that asset becomes the new owner of the bits and bytes. The bits and bytes can be exchanged for currency (the other form of base money), and you can then walk out the door of the bank with the dough, carry it in your pocket, or buy something from a Cypriot so they can stuff the dough under their mattress. Still, such cash conversion has been fairly limited in practice, and for the most part, the reserves simply remain in the banking system. The bits and bytes will go away at the point that the Federal Reserve sells Treasury or mortgage securities back to someone the economy, and retires that someone’s bits and bytes out of “circulation” as payment. Meanwhile, all that quantitative easing does, will do, and is capable of doing, is to create the maximum amount of discomfort for the holder of those bits and bytes at each point in time, in the hope that the burden of zero interest will be sufficient to provoke the holder to exchange that hot potato, which goes on to scald someone else’s hands. Undoubtedly, the hope is that the exchange will be for some productive purpose like new investment or constructive demand, but QE cannot create those productive opportunities, and there are already enough credit mechanisms to fund them even when a cash balance is not in hand. The actual effect of QE is to provoke constant yield-seeking for securities that hold out the promise of relieving the discomfort of a zero interest rate. This process has now become pathological, because it has gone to the point that investors are now finding “yield” where yield is illusory. One type of illusory yield is the earnings yield on stocks, where profit margins are presently 70% above historical norms, and where we’ve demonstrated both by accounting identity and with nearly 70 years of hard data (accurate even to the most recent 4-year period), that the primary source of this corporate surplus is a mirror image deficit in the combined savings of government and households (see Two Myths and a Legend and Taking Distortion at Face Value). Stocks are not a claim on next year’s earnings. They are a claim on a very, very long-term stream of future cash flows that will actually be delivered into the hands of investors over time. At present, the “forward earnings yield” on stocks is a terribly elevated and misleading representative of those cash flows, and investors are likely to find themselves disappointed if they use forward earnings as a “sufficient statistic” for long-term profitability. The other type of illusory yield is on junk debt, where yields have fallen to the lowest levels in history, and where the majority – perhaps more than all – of the perceived “yield” is actually a default premium based on the likely frequency of future default. The absolute best compilation of Warren Buffett’s letters if you are looking to read them all from start to finish, edited wonderfully by my friend Max Olson. Whether you are an investor, businessman, or just interested in business and investments in any way, I can’t think of anything better to sit down and read from start to finish. They are probably as good an education (or better) as just about any MBA one could get, and the most it’ll cost you is $24.50 to get them all in one place (Amazon may even lower the price when it is released around May 7th). The book Competition Demystified is one of my must-read investment books (published in 2005). The excerpt below contains both some good information on looking for competitive advantages, but it also shows how quickly things can change—especially in the technology industry—and that it is probably wise to never use definitive phrases such as “is going nowhere” or “no chance of doing so today”. For all of Steve Jobs’s brilliance and the elegance of Apple’s product design, it seems consigned to always push uphill against the advantages of Microsoft and Intel. In the PC industry, Apple is going nowhere. In the approach we recommend here, the central question is whether, in the market in which the firm operates or is considering entering, competitive advantages exist. If they are present, what are they and who has them? We have described two tests for their existence: stable market shares and a high return on investment for the dominant incumbent firms. To keep the analysis manageable, our advice is to move one step at a time. Begin with one force—potential entrants/barriers to entry—not five. Start simply and add complexity later. Whenever things become confusing, step back and simplify again. Clarity is essential for strategic analysis. Finally, “think local.” Whatever historical promise existed in Apple’s strategic position lay in the segment of desktop publishing and other graphic-intensive applications. It had virtually no chance in taking on the broad PC industry, and it has no chance of doing so today. TEDx Talk - Dan Ariely: What makes us feel good about our work? I wanted to highlight the excerpt below, from the book The Outsiders, because through my experience looking at a lot of small companies, I think a focus on cash return on capital would make a huge difference in a lot of places. I think too many companies feel the need to ‘do something’ and invest money opening new stores, new plants, etc. without properly considering whether or not a good economic profit and cash return is being realized. Sales and profit dollars get the attention, but those numbers don’t mean all that much if the capital invested to achieve those sales and profits isn’t considered in the return equation. Consider the scenario where two restaurants are opened and both restaurants generate $3 million in sales and $200,000 in EBIT. You can’t tell which is better if you don’t know how much capital went into getting them open. If it took $1.5 million to get the restaurant open, then the return is pretty average. If it took $400,000 to get the restaurant open, then the return is pretty great, even though the EBIT margin was less than 7%. When Anders and Mellor began to implement their plan, General Dynamics was overleveraged and had negative cash flow. Over the ensuing three years, the company would generate $5 billion of cash. There were two basic sources of this astonishing influx: a remarkable tightening of operations and the sale of businesses deemed non-core by Anders’s strategic framework. Mary Schapiro, the former chairman of the Securities and Exchange Commission, must take us for fools. Promontory, founded in 2001 by Eugene Ludwig, a former comptroller of the currency, has become a sort of mini-version of Fannie Mae in its heyday. Back then, the mortgage giant was the ultimate revolving door between Washington and the private sector, paying retired politicians huge salaries to lobby their former colleagues. We all know how that turned out.